Since the beginning of professional sport there has always been a push to have an edge over the competition, whether that be through types of training, specific diets or supplements. 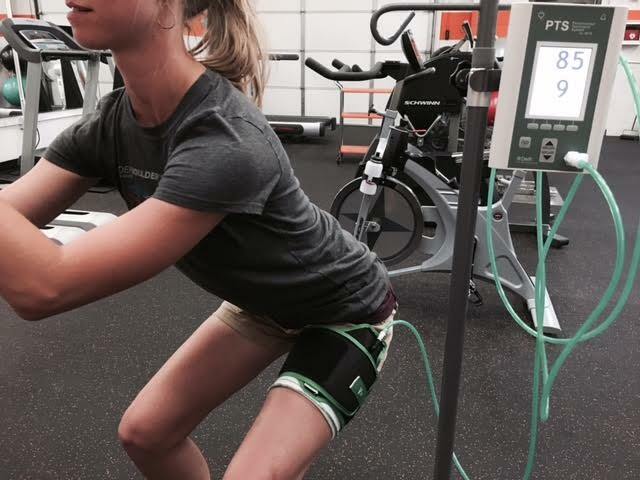 Over the last 5 years there has been a massive push in blood flow restriction in the big four American sports, which could have huge benefits for the Physiotherapy and rehab worlds. Blood flow restriction training involves putting a specialist cuff around a limb to REDUCE blood flow into the muscle. This limits oxygen getting to the muscle while exercising the muscles being targeted, this in turns requires the muscle to work harder then it normally would, creating strength improvements which are so important post injury or surgery. The big advantage this type of training has over normal weight training is that instead of having to work with relatively heavy weights to get stronger you are able to use weights that a much lighter and achieve similar results. This helps post injury or surgery where an injured joint may not be able to handle heavy weight. Currently the injuries best suited to blood flow restriction training are pre and post knee reconstruction, Patella Femoral Pain Syndrome, Osteoarthritis and post fracture rehabilitation. Tourniquet use to restrict blood flow is helping Dwight Howard, Jadaveon Clowney stay mobile after injuries.